These popular tracks are in a dramatic landscape. The map portrays the full length of both tracks, as well as the Caples Track which lies between them. The tracks lie within the Fiordland and Mount Aspiring National Parks and the Greenstone Conservation Area. The few road access points are shown. The fully-detailed topographic background, which does justice to the environment, has been created by a combination of contours and relief shading. 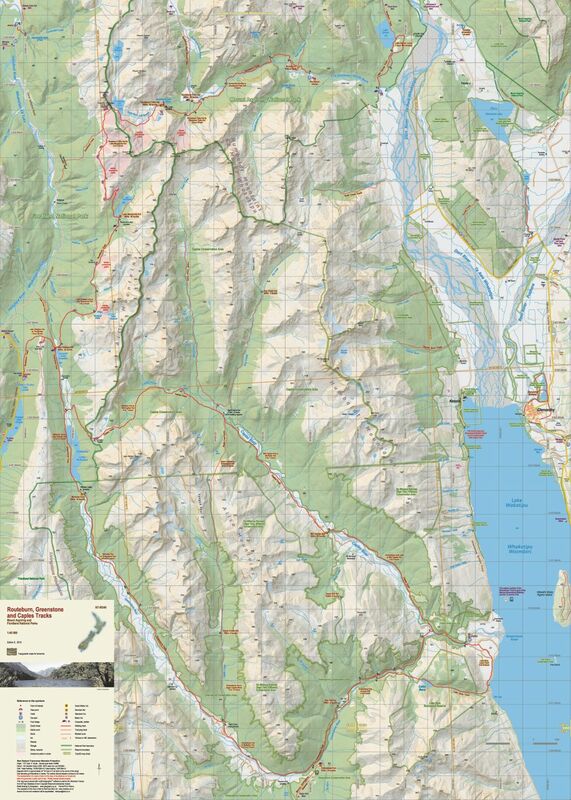 ​The 2019 edition now shows the boundaries of the National Parks and other reserves. 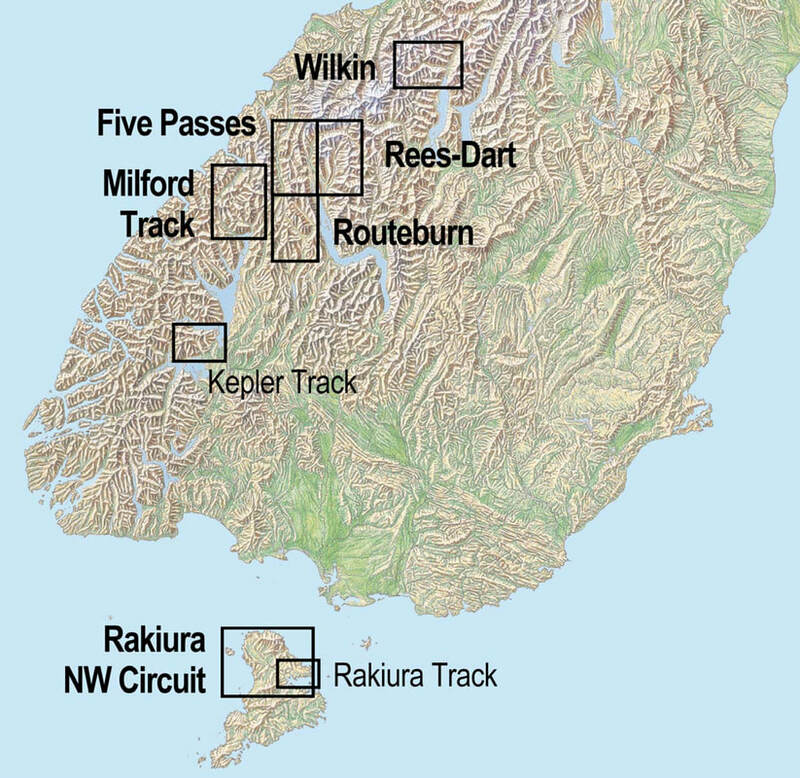 This map overlaps the Five Passes Wilderness map to the north and the Rees-Dart Track map to the north east - all at the same scale 1:40 000.